We’re open daily for breakfast – how about an omelette or a scone, fresh from our bakery? Located in Edgefield's main lodge, the Black Rabbit is open daily for breakfast, lunch and dinner. Fantastic murals tracing the history of Edgefield and the Columbia River Gorge line the walls, and intimate booths encourage you to linger over a fine meal. Guests can choose from an innovative menu of Northwest cuisine and traditional favorites, as well as an expansive list of regional and local wines. Black Rabbit Executive Chef Chris Rattaro and his kitchen staff use seasonal ingredients from Edgefield's own gardens, grown using organic methods – herbs, vegetables, fruits and flowers that flourish on the property's 74 acres. Additional local, organic and sustainable ingredients are sourced whenever possible. Be sure to ask your server about daily specials! But save room for one of our housemade desserts, accompanied by a cup of McMenamins' own roasted coffee. In the adjacent Black Rabbit Bar, tables for two line walls of rich mahogany, and the 30-foot bar reaches through a small nook and around the corner. Courtyard seating is available seasonally as well. 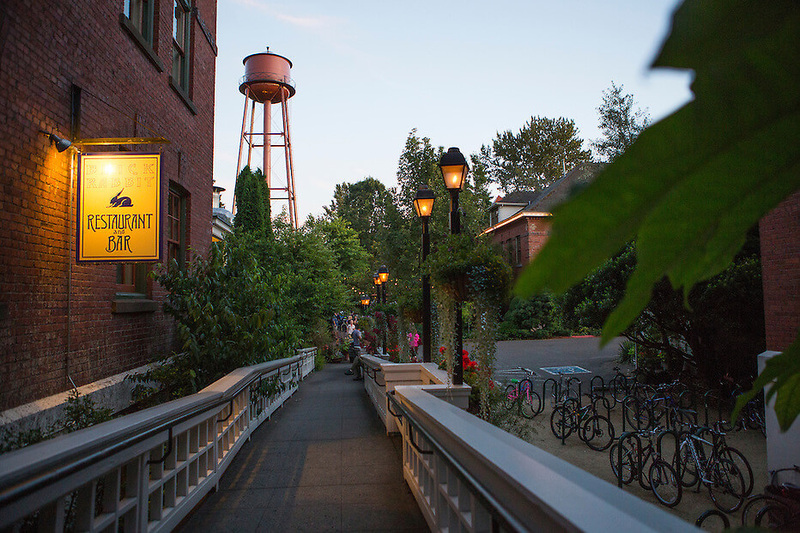 Take your pick from a selection of McMenamins' own handcrafted ales brewed onsite. Edgefield wines and spirits add to your choices, along with a hearty bar menu. 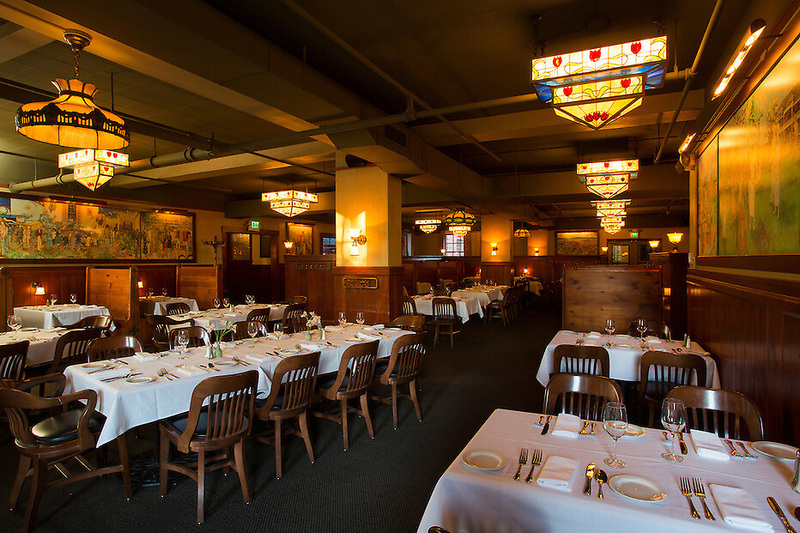 Please call (503) 492-3086 for dining reservations. Black Rabbit Executive Chef Chris Rattaro and his staff craft our menus by drawing inspiration from local, organic and sustainable ingredients whenever possible. Ingredients harvested just steps away in the Edgefield vegetable and herb gardens and fruit orchards are incorporated into the menu as often as possible, guaranteeing the freshest authentic Troutdale, Oregon seasonal offerings. The idea harkens back to the poor farm days in the early 1900s, when Edgefield's down-on-their-luck occupants tilled the earth and then were rewarded with the literal fruits of their labor during mealtimes. Today the Black Rabbit Restaurant menu remains hyper-local, as the Chef can be seen foraging in the gardens to gather ingredients for the day’s special. Be sure to ask your server about daily seasonal specials – and save room for one of our housemade desserts, accompanied by a cup of McMenamins' own roasted coffee. Call (503) 492-3086 for dining reservations.